Sometimes you aren’t studying English. This is certainly true when you are studying for tests like TOEIC, TOEFL and IELTS you study specialised kinds of English. What you study depends on the test. TOEIC tests English for business (as well as everyday English). 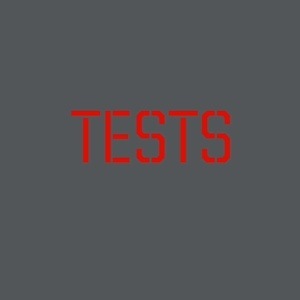 TOEFL and IELTS test academic English. The best ways to study for these tests are to read materials similar to the tests’ reading materials and listen to podcasts about relevant topics. For TOEIC, listen to business and news podcasts. For TOEFL and IELTS listen to podcasts about arts, social sciences and science for TOEFL and IELTS. Don’t forget to take notes of new grammar structures and make word cards for new vocabulary. 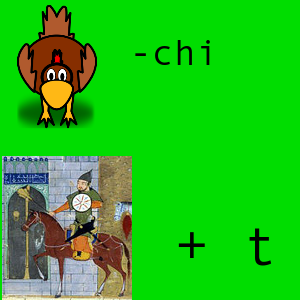 Remember also to learn whole word families because these tests sometimes test your knowledge of word families. If you study these as you go, it should not be a problem. For all these tests you should learn to understand the passive verb form because it is used frequently in formal business English and in academic English. He improved his English test scores by reading serious news articles and listening to college lectures. Not passive. His English test scores were improved by reading serious news articles and listening to college lectures. Passive. THING + ‘BE’ verb + ACTION verb (done to the thing) + DETAIL/CONDITION (optional but more common). For a long-term skill increase you should study different materials anyway. However, to get a higher score in standardised tests such as TOEIC, TOEFL or IELTS, you need to understand the style of their reading and listening materials. When students ask me how to improve their writing the first thing I tell them is to read more and copy the style. After that, I usually tell them to change ‘good’/’better’/’best’ a few times and delete or change ‘very’. Why? They are overused and – most of the time – not precise enough. Is something simply ‘good’ or is it ‘pleasant’? Is it ‘very good’ or is it ‘excellent’? Is it ‘the best’ or ‘the most appropriate’? Is it ‘better’ or ‘more suitable’? If you use the words good, bad, very or nice in your writing, read it again to check that your meaning is clear enough. You could even search for alternatives on Word Hippo. It’s very difficult for a lot of students to tell the difference between ‘can’ and ‘can’t’ in spoken English. In this podcast, I’ll give you some help. English presentations are very common in business and are becoming more common for students of the language too. Whatever the reason, here are some tips to help your presentations. You need to know what you want to say and the best way to remember it is practice. Prepare short prompts on index cards or sticky notes. Put your slides in order so you don’t have to worry about them. Keep practising. ‘First’ and ‘second’ are fine but anything after ‘fourth’ means you need to edit your presentation or group ideas together. If you have a lot of words or data on the screen your audience will try to read it instead of listening to you. If reading data is so important, send it out as separate file in an email so your audience can prepare for your presentation. If you relax, your audience can concentrate on your presentation, not you. If you prepare, it is easier to relax. Try to control the speed of your speech. Set your tempo by walking into the presentation area at the speed you plan to speak at and this should help. This is especially important when you are talking about key information because you can check whether your audience understands. People will also pay more attention when they know you are looking at them. Check everyone understands what you talked about and get ready to give more details if necessary. When you are really finished, thank everyone for their time and make sure everyone has your contact information. If you have any other tips leave a comment below. The English Blog’s Learning English Blog is rather good but only updated every month or two. It has links to materials for a mix of levels. This is where I found out about Speechyard, which has links to YouTube videos of movie clips and full movies with Google Translate powered subtitles (I’d recommend English subtitles only for Japanese learners). There is a mix of material and is easy to use. Not only that, but you can copy words from the subtitles and use them in practice exercises. So many people are busy and a lot of people think they are too busy to study English outside their English lesson time. That once-a-week lesson, with no homework in between, means that you leave seven days available for forgetting what you learned. This post from Learn English at Home gives you some ideas about online grammar exercises you can do, but here is a list of some other things you can do. Listen to two or three pop songs. There are some here. Write a few English sentences about your day. Record a few sentences about your day. Listen to a couple of episodes of the Get Great English podcast. Read a very short news article or watch a short video on Newsround. Hopefully you have a little bit more motivation to study, even if it is just for a little while. Today’s podcast is about the way native speakers pronounce words to allow them to flow together more quickly. I look at ‘flap D’, the way written ‘t’ turns to a ‘d’ sound in spoken English, then I look at inserting a ‘w’ sound between two vowels to allow words to run together quickly. I hope this is useful. Tell your friends if it is. Don’t forget to like this site on Facebook and Twitter. 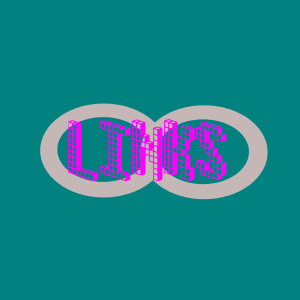 Here are a some links to different sites that I like for English. The English Learner Blog is written by Michal, a Polish guy and it is very well written. I love recommending BBC’s Newsround because it is news for kids, but it is a great way for adults to get news vocabulary. Antimoon has great resources, including a fantastic International Phonetic Alphabet chart for English. I don’t agree with all of their advice, but I do agree with a lot of it. To develop fluency in your speech, there is only one way: speak. To improve you must practise. Practise any way you can. Read aloud, repeat along to podcasts or videos (using the pause button to help you), talk to yourself. Do anything to speak English. To check you are getting better, record yourself speaking English once a week and listen to the recording. Do you sound better than last week? Do you sound better than last month? Last year? If you want fluency practice, you can book a lesson with me, face-to-face or on Skype, by sending an email through the contact page. Since I became a teacher I have been interested in how people use technology to help them study. When I was setting up this website and the social media that I use to let people know about it, I found some interesting ways to use Pinterest and Evernote for language study. Some people use Pinterest as a visual dictionary. This is an interesting way to study vocabulary and helps you to study by remembering words with pictures even if you can’t draw. 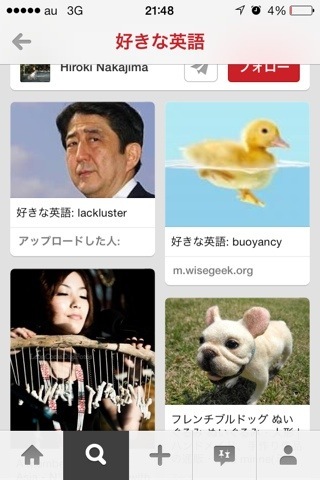 If you use Pinterest, you should follow my English pinboard. If you use Evernote, you can take photographs of paper notes, posters and signs and search for the text in the photographs. You can also add web pages, emails, document files and audio. It syncs between devices easily. There is a post on the Evernote blog about how to use it to study in more detail here. Why not join Evernote by clicking here.